Don’t you know the early flowers should be blooming… and not through many inches of snow? We hope each springer family is staying warm and toasty in this cold February weather as we look forward to the arrival of spring. We hope to see you all at the award’s banquet coming up in March. We’ve removed the link for upcoming shows. The AKC website has changed and it would be easier for you to do your own search for the venue you’re looking for. 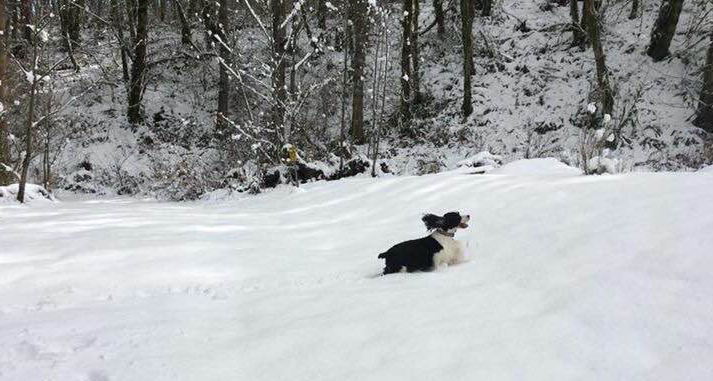 The photo above is of Zoot enjoying the recent snow. Thank you to Carol Callahan for use of the photo. At this time there are some wonderful interviews with long time well respected judges who are telling their stories and expressing their views about judging. I’ve found those to be very enlightening and a way to learn about what some judges are thinking as they go about evaluating dogs in the ring, what their history is and what the future holds for them. Our last summer’s specialty judge, Dana Cline, has an interview with Laura Reeves and was chosen 2018 judge of the year. If you’ve ever complained about judges, and I suspect all of us who show dogs have, it lends another perspective. There is so much more on this site. Just about anything you would like to find out regarding dog health and behavior, different breeds from breeder’s perspectives and so much more. March 10, Saturday. Annual Awards Banquet at Sayler’s Old Country Kitchen, 10519 SE Stark St, Portland. April 14, Saturday. Salem Ale Works, 2315 25th Street SE, Salem. Carol Jansen will reserve. June 3, Sunday. Buster’s Barbecue, 11419 SW Pacific Hwy, Tigard. Martha Mullis will reserve. July 21, Saturday. Expo Center after Springers show at PKC. October: Nominations for officers and board. Date and time to be decided. November: Time and date to be decided. December: Annual Holiday Party. Time and date to be decided. GCH G&J’s Sequioa Spring CGC, earned her CGC at Rose City Cluster. Sequoia is owned by Gary and Jan Sturm. GCHB Oxbow’s Gold Medal CGC , earned his CGC at the Vancouver KC obedience shows in October. Baker is owned by Dave and Janee’ Kemp. If you forgot to do so for this issue, we can still add your brag. Send it to us by e-mail exactly as you would like it worded. 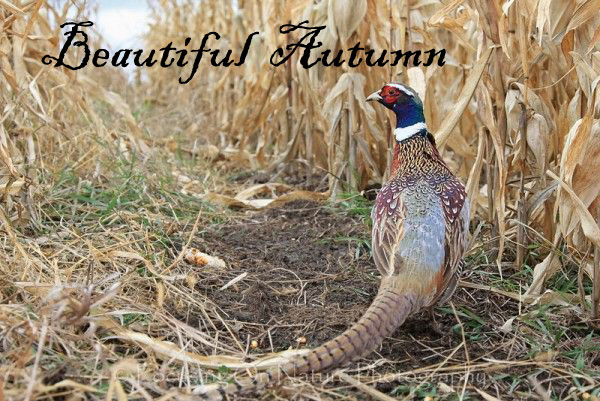 It seems that fall and maybe even winter are upon us so quickly this year, but what a beautiful October! We hope you had a wonderful time with your springers and other furry friends. The Halloween party at the English’s was lots of fun for everyone who attended. If you’d like to see some of the costumes and photos, they’re posted on the WVESSA Facebook page. 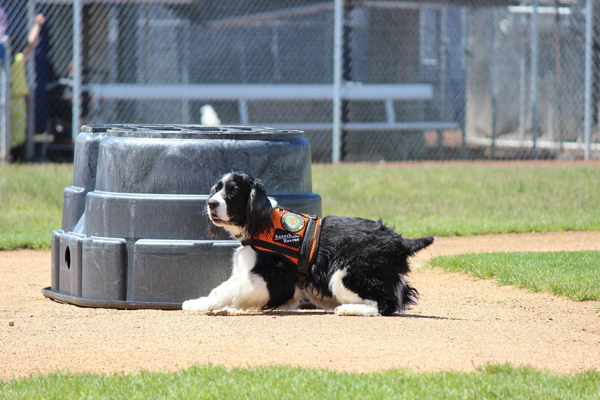 Please keep in mind there are other places to search and learn about our springers. The ESSFTA website offers expansive information about the breed and you can find more at the AKC website. Thank you to Chris Alver for sending this article. This Sunday, Nov. 5th, is the swim meeting. The details of the swim event and following meeting have been sent out by e-mail. This meeting will elect officers. December 2nd will be the Christmas meeting at Ken and Cathy’s home. Bertram E Wooster (Bertie) earned both his TDN and TDI titles at My Dogs Gym in Salem on Sept 23. Eleanor- “Dalin’s N English’s Built for the Road Ahead” went Best in Sweepstakes at the Golden Gate Specialties on Friday and Saturday. Also- she went WB winners for a 4point major and Best Puppy on Saturday. Owners- Debbie and Cathy English and Linda and Julie Fong. Several of our members have puppies or will be having puppies. Larry and Betty Schwartz and Judi James. 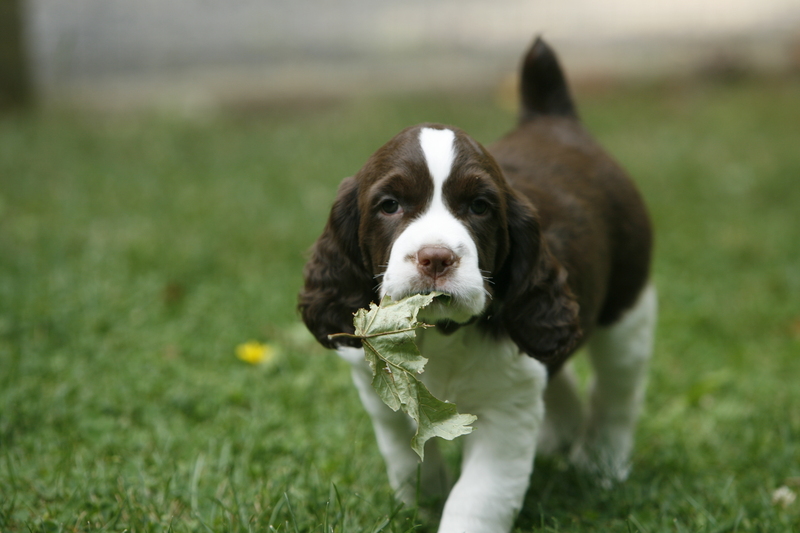 The health survey will help us determine the overall state of English Springer Spaniels in the US. Are they generally healthy? What are the most frequently reported health conditions for possible new research? Results are tabulated at the University of Missouri and all information collected is completely confidential. You have until June 30, 2017 to fill out the survey. We don’t have the complete meeting schedule with all the details, but maybe this will help with plans and dates. We will update this schedule as soon as we get a bit more information. 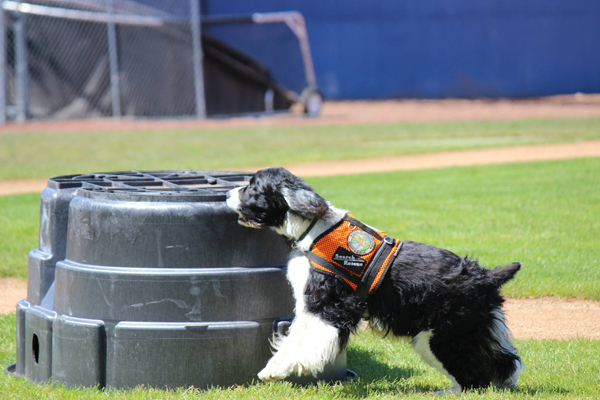 The agility trails are April 22-24 in Eugene. We hope each family had a wonderful summer! Sometimes it’s difficult to face the cooler, rainy days, but the colors of fall help to soften the transition. Have fun at all your dog events! This is an article Carol Callahan brought to our attention. A subject that none of us wants to face, but there is some good information here. Also there has been some good information put out about water quality, or lack there of, and water plants that may be harmful to your dog in a natural swimming environment. Please be sure to check this out before you take your dog swimming. Most likely most of us are not swimming our dogs so much now, but just in case. We finished our littermates championships, Vanity Fair’s Voluntaire (Vollie), and Vanity Fair’s Buttercup (Petal), in back-to-back 5 point majors on Sept. 17 and 18. Congratulations to the Vanity Fair Team! We hope you’re enjoying the beginning of the busy summer months. We attended the 2016 National Specialty in Monroe, WA and were happy to see lots of club members there enjoying the beautiful springers from around the country. If you’ve never been to a National, you really should try to go sometime. We’ll see everyone soon at our own specialty, which is July 22. Here is the brochure for the upcoming National Specialty. Breeze (Majic Heart of Gold NAP NJP NFP CGC) owned by Mindy Perez and Michael Schlax, earned her Open Agility Jumper Preferred on May 27 with a perfect score, followed by a perfect score on her first Excellent Agility Jumper Preferred run. Robbie (Schoolyard Springer Robber Baron NW2 L2I CGC) owned by Mindy Perez, earned his Nosework 3-Vehicle title on May 21. For a NW3 Vehicle title, Robbie had to complete 3 legs of vehicle searches at 3 different trials. There can be 1-3 hides so this also involves knowing when he has found them all.